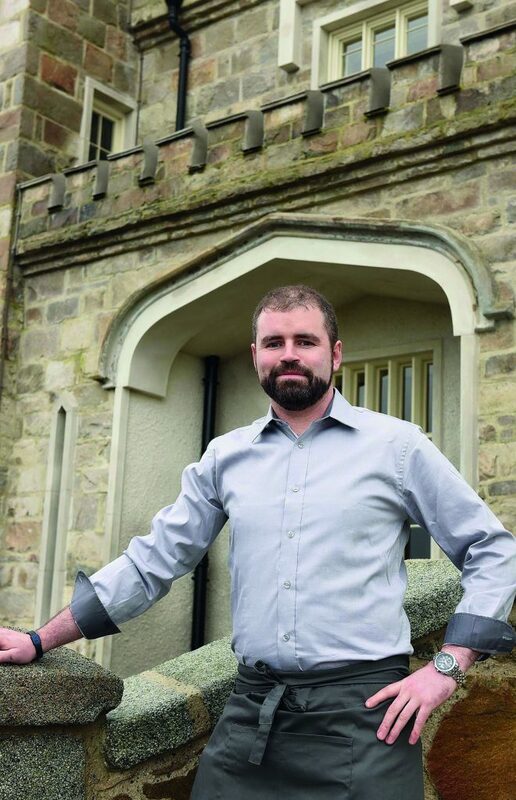 After two decades in the hospitality trade in Ireland and Canada, 37-year-old Darragh Dooley admits that his latest role as executive chef at the much-anticipated new Killeavy Castle Estate near Newry is his biggest challenge yet. Darragh Dooley, who comes originally from Galway, is now in post as executive chef at the plush new boutique hotel and spa, which is set to open near Newry at the end of April. The hotel venture itself represents a £12m investment. The grade one listed building, which lay derelict for more than a decade, has been given a new lease of life after being bought by Armagh native, Mick Boyle and his wife, Robin in 2013 for £1.2m. Darragh was recruited from his post as head chef at Castle Leslie in Co. Monaghan to become the first executive chef at Killeavy. It’s the latest development in a diverse career that’s seen him don his whites in some of the island’s most prestigious kitchens. He launched his hospitality career while still at school, working part-time at the Cashel House Hotel in Connemara. Eventually, he was given the opportunity to serve a little time in the kitchens at the hotel and he quickly realised that he loved the environment. Later, when he was studying at GMIT in Galway, Darragh undertook work placement, first at the Roachestown Park Hotel in Cork and then, at the K Club in Co. Kildare, where he stayed for a total of seven years and rose to the position of chef de partie under executive chef Finbarr Higgins. ‘He had a great passion for food and for making sure that all the ingredients were treated correctly,’ recalls Darragh. ‘They always had the best of everything there, fresh truffles, foie gras and so on, it was a great place to work. His next three years were spent at the fabulously quirky, five-star G Hotel & Spa in Galway before an acquaintance from the K Club – Andrew Bradley – persuaded Darragh to join him at the Johnston Estate Hotel & Spa in Co. Meath to help out in the restaurant. After about a year, however, Andrew left for a post at Castle Leslie and Darragh departed for a working break in the Canadian province of Winnipeg. Ultimately, he spent seven years at the Co. Monaghan retreat, finishing as head chef with responsibility for Snaffles restaurant (two AA rosettes) and Conor’s Bar. Darragh secured the post at Killeavy after viewing the estate and its ‘farm to fork’ ethos and coming to the conclusion that this was ‘exactly what I was looking for‘. All the suppliers that I use here are local, I don’t have to go further afield for anything, and I am able to employ local people in the kitchens, says Darragh. Darragh and his team are currently working to make sure that the food and beverage offering at Killeavy is ready for the April opening, but long-term, Darragh says he is keen to do as much preserving and fermenting as he can on site and to see as much as possible of the produce he requires grown and reared on the estate, to be experienced by local and international guests.